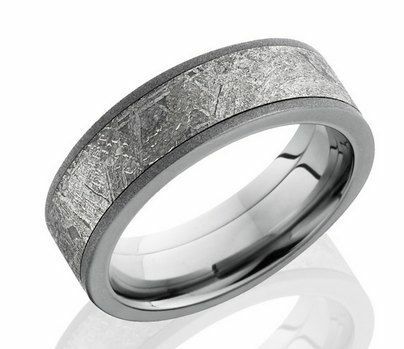 Titanium 7mm Flat Band with 5mm Meteorite Inlay. Very happy with the meteorite ring I bought AND the customer service . I told Serge I was working with a very close deadline and he got it to me perfectly on time. Serge was awesome. Incredible customer service, very personable yet professional, and very good at his craft. The product itself was fantastic and I'm very pleased with it. I definitely would recommend him to others looking for the same!